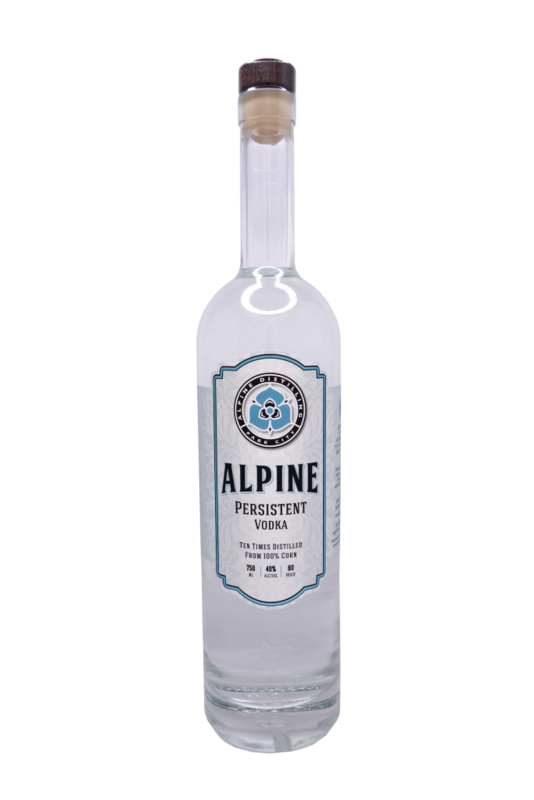 For our award-winning Persistent Vodka we set out to craft the most delicious, clean and drinkable Vodka in the world. We use 100% corn as the base which is sourced from non-gmo crops, processed in missouri and distilled here in park city on our hand-made detroit still. The Vodka is filtered twice through a total of 60” of activated charcoal which “softens” the distillate and creates the clean finish for which this spirit receives accolades. Our reverse osmosis, demineralized water is treated to remove harsh minerals and used to proof the spirit to 40% alcohol by volume.